Thinking about today´s post, I remembered that the MET gala is in less tan a week, but I decided to post about the total oposite fashion. 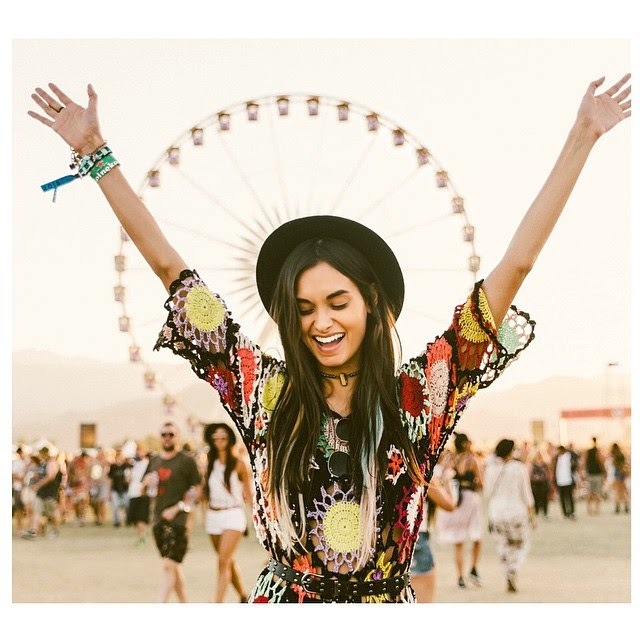 I´m sure that the past weekend the feed on your phone was full of pictures from Coachella. 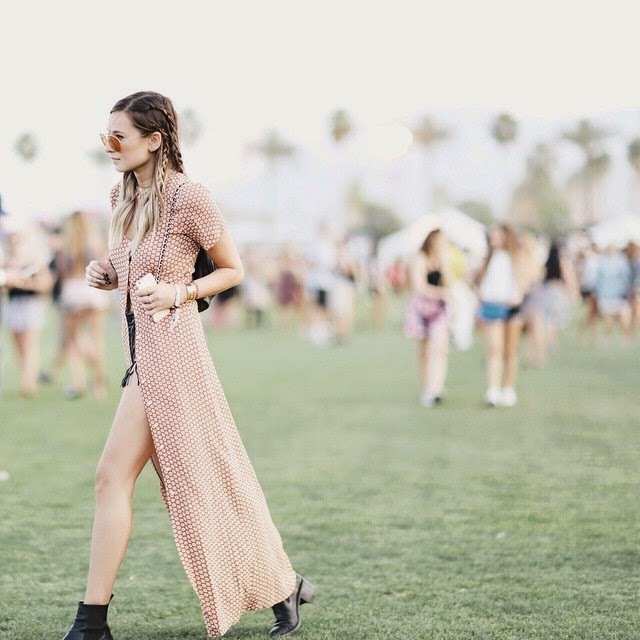 If you live in Mars, Coachella is a music festival where plenty of bands and musicians perform during a weekend in a park in the sunny California. Music is great and there is no doubt about it. But recently our eyes were caught by the outfits people wear to the event. I realised it had become a fashion event when "nytimesfashion" on instagram started posting pictures of the craziest looks as if they usually do during fashion week. 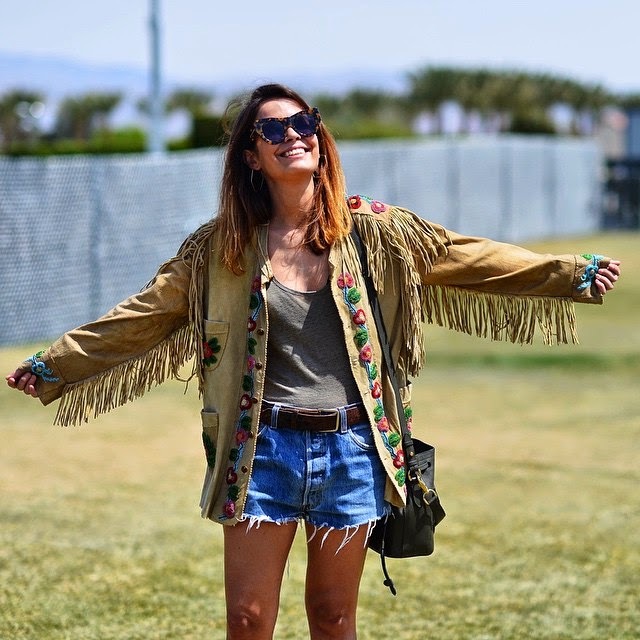 It´s a way of saying the Coachella Street Style. What´s so interesting about the outfits? 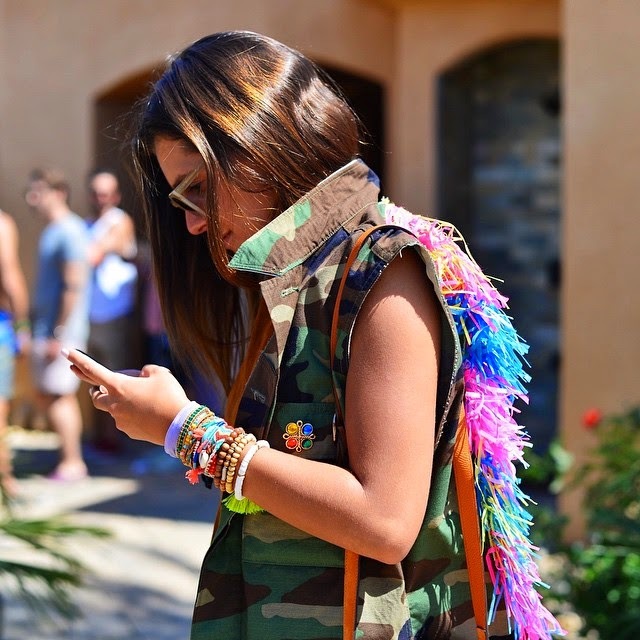 It´s a modern boho where clothes are minimal and accessories get maximised. People look half dresses with an overdose of complements. There are some fixed trends, or at least they are repeated year by year. To mention some: clothes with fringes, crochet, transparencies, lace, mini shorts, booties, tunics. As regards accessories everything counts, from fedoras to floppy hats, big necklaces (I mean more than one of course), golden tattoos, bindies, scarves, flowers headbands, colourful hair, sunglasses and pretty much all you can add. 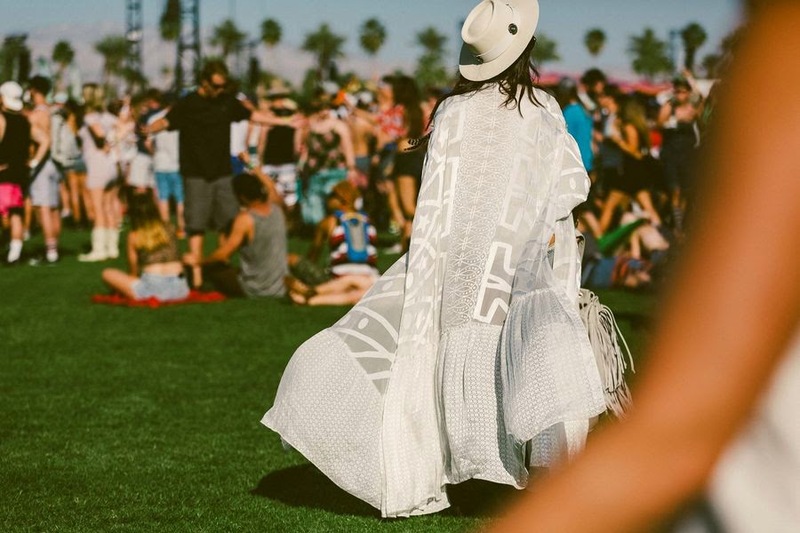 To be true, I´m head over heels about Coachella, and I´m not even considering the music. Just the outfits drive me crazy. I´d like to go at least once and dress up crazily!